You heard it here first, folks: 3rd and Division is officially the worst intersection in Spokane. No, it doesn’t have the ruts and crumbling asphalt of High Drive and Grand Boulevard, but it does have an empty lot with extremely unsightly rebar and concrete, remnants of an abandoned low-rise hotel project which will be the subject of a future If It Had Happened post. City leaders have repeatedly tried to entice developers to this site, starting with the original owners, who are presumed to have finally sold the lot in the spring of 2013. 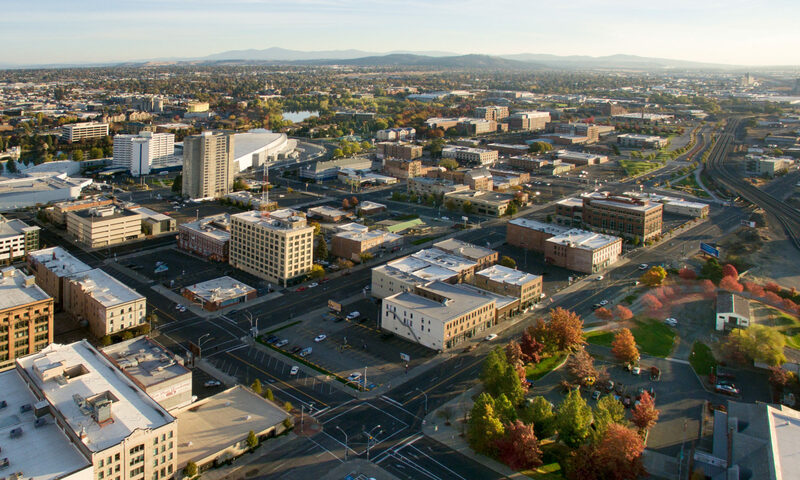 Naturally, 3rd and Division serve as a gateway to Spokane and the south end of the Division Street Gateway project, so it’s not surprising that the City is attempting to get more involved. But despite this interest, the site still sits, languishing further by the day. Literally nothing has been done to improve it in the interim, despite the fact that an extremely small investment could result in a much more pleasant intersection. Here’s our short term solution: erect a temporary construction fence and set local artists loose. What do we mean? Check out some examples and a call to action after the break. We want to make this actually happen.